The Board of Directors and the Strategic Council of the American Institute of Architects (AIA) are honoring Lord Richard Rogers, Hon. FAIA, with the 2019 Gold Medal. The Gold Medal is the AIA’s highest annual honor, recognizing individuals whose work has had a lasting influence on the theory and practice of architecture. Rogers is being recognized as his influence on the built environment has redefined an architect’s responsibilities to society. From the Centre Pompidou in Paris to New York City’s post–September 11 skyline, the work of Richard Rogers, Hon. FAIA, has influenced architectural conversations and helped redefine an architect’s responsibilities to society. 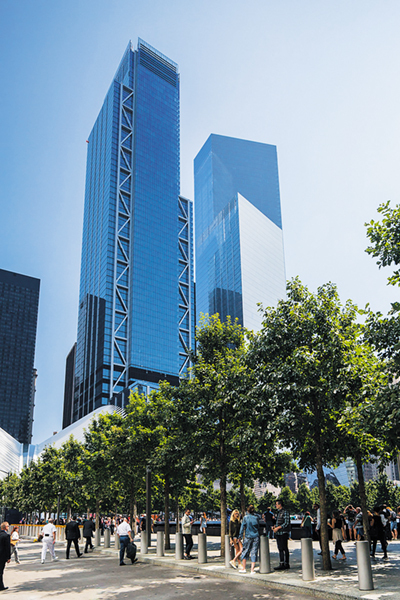 Rogers’ commitment to our cities, environment, and humanity has resulted in a wealth of honors, while cementing his place in architectural history. Born in Florence, Italy, Rogers was trained as an architect in London at the Architectural Association School of Architecture and at Yale University. His outlook on the profession is as urbane as his early life and education. 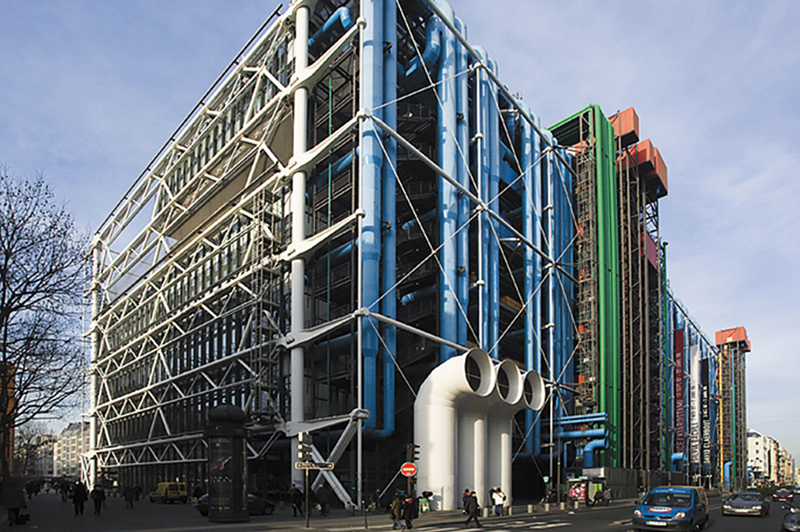 The Centre Pompidou, one of his earliest projects—and one he designed with Renzo Piano, Hon. AIA—boasts themes that have become trademarks in Rogers’ architecture since the mid-1960s. Structure, technology, and an eschewing of monumentalism commingle in what was envisioned as a cross between “an information-oriented computerized Times Square and the British Museum.” The project shifted views on museums from elitist establishments to sites of social and cultural exchange deeply embedded in the heart of cities. Since then Rogers has proven himself as visionary a planner, urbanist, advocate, and humanist as he is an architect. In London, which arguably bears his strongest imprint, his plan for the city and life after the 2012 Olympics is a testament to his thoughtfulness, having survived the terms of two mayors with only minor modifications. Rogers, who is a founding principal at Rogers Stirk Harbour + Partners, tackles projects that continue to invigorate the environments they inhabit. His buildings are renowned for their detailing rigor, extreme flexibility and technology-driven sustainability. Echoing the firm’s six guiding ideals of context, public realm, legibility, flexibility, energy and teamwork, the melding of craft and social mission resonate within every project. 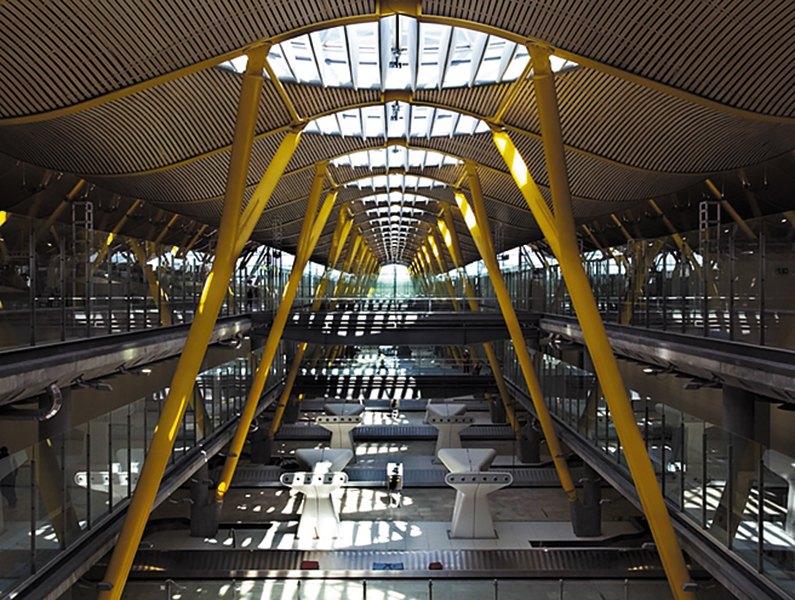 Recent work, including the celebrated Terminal 4 at Madrid’s Barajas Airport and the recently completed 3 World Trade Center, display Rogers’ mastery of large urban buildings coupled with his brand of architectural expression. His work has been celebrated with nearly every major architectural honor, including the 1985 RIBA Royal Gold Medal, the 2007 Pritzker Architecture Prize, the 2006 and 2009 Stirling Prize and was named a Praemium Architecture Laureate by the Japan Art Association in 2000. In addition, Rogers was knighted by Queen Elizabeth II in 1991 and sits as a Labour peer in the House of Lords since 1996. Over a career that has spanned five decades, Rogers has been the personification of an ideal architect: an incredibly talented designer whose work has had profound and lasting impact on the people and communities he has served.